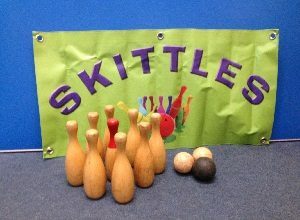 Set of 9 wooden skittles and balls. Ideal for fetes, fairs and playing outdoors. £3.15 for up to one week.